Hyundai Motorsports had a successful start to the WRC season in Monte Carlo, and now they are upping the ante for Rally Sweden this week. They will be hoping to repeat their performance in Sweden last year by landing a podium finish, and they will be taking a trio of new generation i20 WRC vehicles in order to make it happen. The 2016 FIA World Rally will make its stop in Sweden on February 11-14, and Hyundai Motorsport will be looking to repeat their podium finish that they achieved in the opening week of the season at Rally Monte Carlo. The team ended up with a third place finish in Monte Carlo, which meant that the new i20 WRC made a winning debut. The conditions at Rally Sweden are sure to be different than what the drivers experience in Monte Carlo, with snowy stages sure to be part of the race. Driver Thierry Neuville has experience at this race, having landed a podium finish for Hyundai Motorsport in the 2015 season. 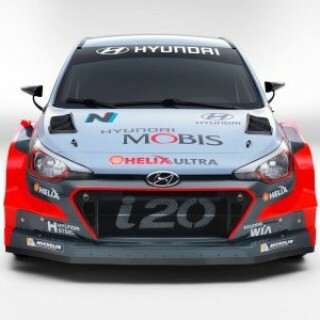 Neuville will be racing again this coming weekend, and will be joined by Hayden Paddon and Dani Sordo, with each of the drivers behind the wheel of a New Generation i20 WRC. All told, the Rally Sweden race will be comprised of 21 stages covering 331.21km. The opening stage will be the Super Special at the Karlstad trotting track on Thursday. The next two days will see the drivers race the remaining stages between Sweden and Norway.